11 Credits under Sustainable Sites including Site Selection, Development Density, Alternative Transportation, Reduced Site Disturbance, Stormwater management and Heat Island Effect. One of the contributing factors in this category is the Green Roof. 4 Credits in Water Efficiency thru the use of rooftop plant materials that require no irrigation and a water use reduction plan greater than 30%. 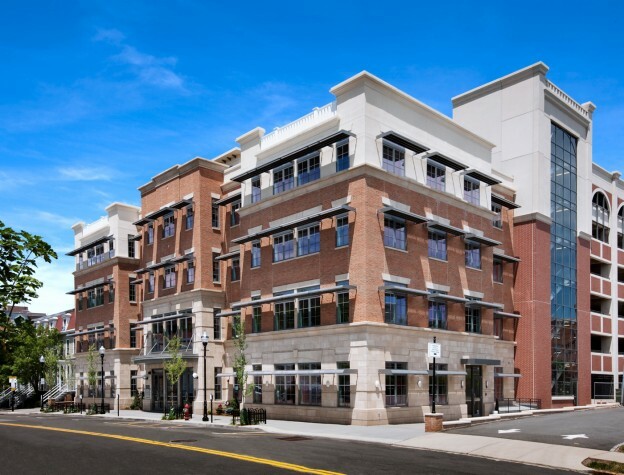 13 Credits under Energy and Atmosphere including a high performance building envelope, Geothermal wells, Rooftop Photovoltaic providing almost 25% of building peak demand with remaining power purchased from renewable resources. 6 Credits under Materials and Resources starting with Construction Waste Management diverting almost 99% from landfills, recycled and regional materials and certified wood. 5 Credits under Innovation and Design. This includes education programs, green cleaning program development of unique zoning ordinances among others. This entry was posted in Commercial, Structural Engineering, Sustainable Design on October 20, 2014 by swolock.